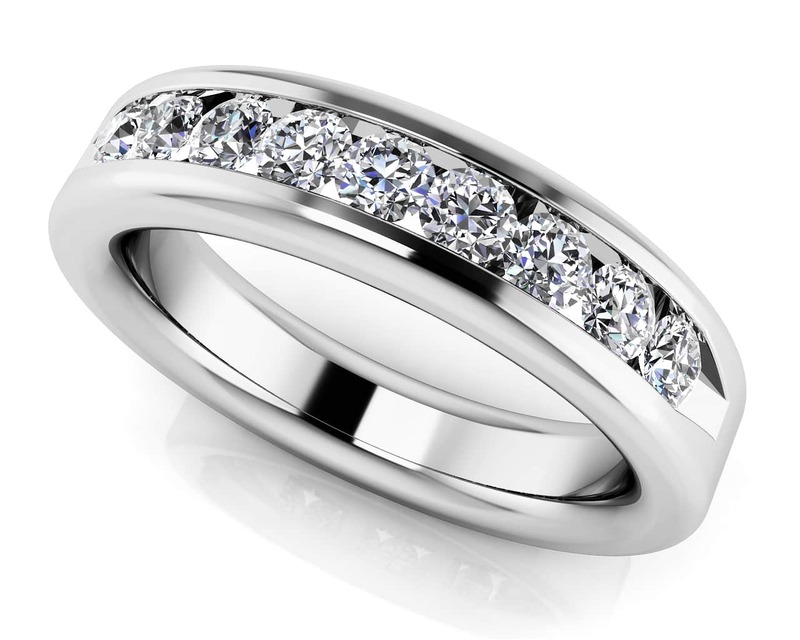 This is a very classic design, and one that would be perfect if either you want to have it with or without an engagement ring. It has just the right amount of shimmer & shine on its own. 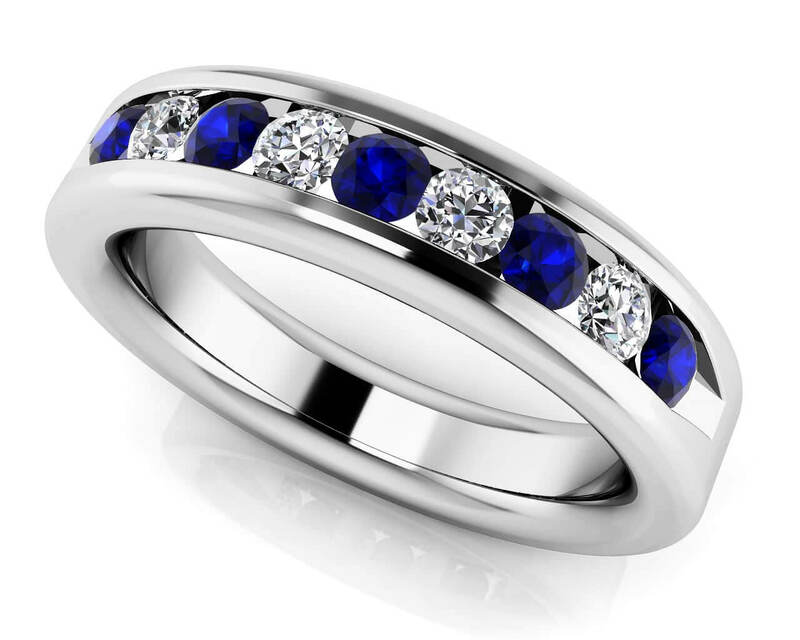 If you want to pair this with an engagement ring, however, you simply can’t go wrong with this. It will truly be a wonderful accompaniment. It is available in either gold or platinum, and in your choice of 4 different sizes, ranging from .25 to 1.00 carat total diamond weight. This one is truly a wonderful piece, featuring a lovely row of diamonds that sit perfectly in the channel of the top of this ring. Simple elegance at its finest! Stone Carat Weight: 10X.030 ct.